DEWALT DC9182 Power Tool Battery Replacement Type: Li-ion Volt: 18V Capacity: 3000mAh Color: Yellow Weight: 1360g Dimension: 120.2 x 115.0 x 88.9mm Please go to buy this battery on http://www.drillbattery.com.au/buybattery.php/dewalt_DC9182_power+tool+battery. Brand New Cordless Drill Battery for HITACHI BSL 1830 Type: Li-ion Volt: 18V Capacity: 3000mAh Color: Black Weight: 573.42g Dimension: 116.05 x 74.00 x 67.80mm Please go to buy this battery on http://www.drillbattery.com.au/buybattery.php/hitachi_BSL1830_power+tool+battery. Brand New Cordless Drill Battery for PANASONIC EY9L44 Type: Li-ion Volt: 14.4V Capacity: 3300mAh Color: Black Weight: 1210g Dimension: 127.7 x 75.5 x 52.62mm Please go to buy this battery on http://www.drillbattery.com.au/buybattery.php/panasonic_EY9L44_power+tool+battery. Brand New Cordless Drill Battery for AEG L1815R Type: Li-ion Volt: 18V Capacity: 3000mAh Color: Black Weight: 984g Dimension: 141.15 x 78.00 x 72.95mm Please go to buy this battery on http://www.drill-batteries.com/batteryprices.php/aeg_L1830R_power+tool+battery. RYOBI BPL-1815 Power Tool Battery Replacement Type: Li-ion Volt: 18V Capacity: 3000mAh Color: Black Weight: 765.7g Dimension: 135.70 x 76.00 x 107.30mm Please go to buy this battery on http://www.drillbattery.com.au/buybattery.php/ryobi_BPL-1815_power+tool+battery. 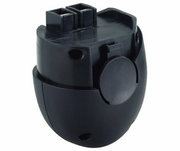 Brand New Cordless Drill Battery for METABO 6.31858 Type: Ni-Cd Volt: 4.8V Capacity: 1300mAh Color: Black Weight: 260g Dimension: 62.2 x 57.5 x 75.8mm Please go to buy this battery on http://www.drillbattery.com.au/buybattery.php/metabo_6.31858_power+tool+battery. BLACK & DECKER BL1518 Power Tool Battery Replacement Type: Li-ion Volt: 18V Capacity: 1500mAh Color: Black Weight: 420g Dimension: 123.10 x 79.15 x 57.00mm Please go to buy this battery on http://www.drillbattery.com.au/buybattery.php/black+&+decker_BL1518_power+tool+battery. Brand New Cordless Drill Battery for MILWAUKEE M12 Type: Li-ion Volt: 12V Capacity: 3000mAh Color: Red Weight: 347.5g Dimension: 89.65 x 63.20 x 112.4mm Please go to battery on http://www.drillbattery.com.au/buybattery.php/milwaukee_M12_power+tool+battery.html. 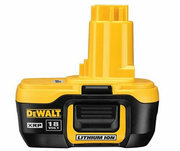 DEWALT DCB120 Power Tool Battery Replacement Type: 10.8V 12V Li-ion Volt: 10.8V Capacity: 2000mAh Color: Black Weight: 235g Dimension: 91 x 65 x 45mm Please go to buy this battery on http://www.drillbattery.com.au/buybattery.php/dewalt_DCB120_power+tool+battery. Battery Charger For Makita Cordless Drill 14.4V 18V Ni-Cd Ni-MH For Battery Type: Ni-Cd, Ni-MH Input Voltage: 240V Smart Charger for MAKITA 14.4/18V OZ 3 PIN plug Brand New: A brand-new, unused, unopened, undamaged item in its original packaging Please go to buy this charger on http://www. Brand New Cordless Drill Battery for BOSCH BAT411 Type: Li-ion Volt: 10.8V Capacity: 1500mAh Color: Black Weight: 317.52g Dimension: 46.52x50.34x83.38mm Please go to buy this battery on http://www.drill-batteries.com/batteryprices.php/bosch_BAT411_power+tool+battery. David Carr Locksmiths & Security has been established in Sydney's Eastern Suburbs for over 40 years, with a reputation for excellent service. We have been trusted by our customers to provide locksmith and security products and services, to enhance the security of their homes, commercial premises and strata properties. It happens a lot that many business mainly in the hospitality industry they have an outside area (a patio, a garden, a rooftop) that they can use because in many weather conditions. The solution for this weather conditions are the Tecnic four season retractable roofs. For example many gardens and rooftops are not use in winter because of the cold weather, snow, wind and those areas are dead taxed capital. Condor Rendering is a Sydney based Rendering service, specialising in all cement, acrylic renders, texture paints and white set. Their aim is to conduct and lead in quality of work, Sydney wide and abroad. 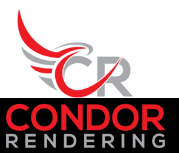 With over 14 years experience in the industry, Condor Rendering is here to set the bar in standards and honour ours and clients values Website:	https://www. 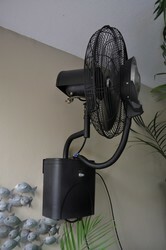 Looking for an outdoor affordable portable fan for your event? Consider the Tornado Mist Fans which can reduce temperature by up to 20° or Mistmate Fans - a new low cost, easy method to cool exterior and patio areas. All these are available at Climate Australia, the coolers and heaters specialist. No more HOT muggy venues, call 02 9977 3474 now for inquiries, installation and more. Protect your home and loved ones with B2K Alarms home security alarm systems. We offer a wide range of affordable and flexible options to provide your home, the security it deserves. Handy DIY or fully installed home security system can be tailored to your individual home security needs. Call now at 1300 300 488 for 24/7 security and monitoring services. Usually, people use wood bark mulch in the garden to retain moisture in the soil. It also makes your garden look more attractive and helps plants to grow bigger in shape. If you are interested in buying these mulch for your garden? Then call us today at 0296315899 Or visit us at https://www.blackforesttrees. We at Chatswood Glass and Shower Screens are 100% Australian owned and operated. We take pride in our work and have exceptional high standards. Our team of experienced and qualified glaziers work with both commercial and residential customers throughout the Sydney area. Also having a broad list of real estates and strata company's on our books. Manufacture and supply of a variety of lightweight, fire rated cladding panels available in a multitude of colours and effects including concrete, travertine and a large range of textured designs. Suitable for interior and selected exterior applications. Website:	https://www.stonini.com/ Phone:	403254201 Email:	robertgonda@stonini. Building your dream home? Choose Luxury Heating, our hydronic heating systems are the most cost effective, energy efficient way to bring complete comfort to every part of your home. Our highly skilled and professional engineers use your floor plans to conduct a comprehensive head load calculation to design a system that is specific to the requirements of your home. Looking for a stunning gas or wood fireplace with so many options that creates ambience all year round in any setting, whether it’s at home or in a bar, club or restaurant? Look no further, contact Fireside today. 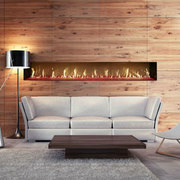 Our range of Lopi and DaVinci gas and wood fireplaces work in any setting - modern, traditional or a combination of both. 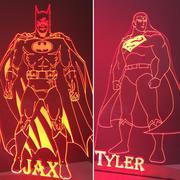 These Batman or Superman LED light each comes with several different colour settings. The colour and brightness can be adjusted using a remote control . This is an ideal gift for a child or the man in your life. It is difficult to find a meaningful, unique and personalized gift, to show somebody how much you care, or a love token for somebody that is special to you? World wide shipping availible, visit us on Facebook or Etsy: https://www. ELuxury Home, takes a modern expression of natural beauty creating bespoke design and accent home décor pieces inspired by natures luxuious textures, with Artisan craftsmanship using only high quality grade sheepskins, animal furs and skins that are carefully and ethically sourced from all around the world, making us unique in its class. Fresh Flowers Sydney Provides cheap flower delivery in Sydney for birthdays, anniversaries, funerals, weddings, etc. Send flowers across Sydney for same day flower delivery. Buy Now! Reasonable Services From Fresh Flowers Sydney • Buy Flowers Online Sydney • Buy Flowers Sydney • Cheap Flower Delivery Sydney • Online Florist Sydney • Florists Sydney • Online Flower Delivery Sydney Contact US: ============ Fresh Flowers Sydney 6/1-5 Gow Street Abbotsford 2046 Sydney, New South Wales 2046, Australia https://www. We provide cheap bed linen Australia. Hq Linen is a family-owned, privately-held company of bed linen online Australia and a leading provider of quality bed linen. Phone: 61490703205 Company email: sidd@hqlinen.com.au https://www.hqlinen.com.au/contact-us/. Carrara Herringbone for Wall Designs and Decor! Sydney Tile Gallery has got a wide variety of imported tiles in our collection. We are the importers of choice in Sydney. We offer proper advice to our buyers to find the right fit for their home decors and office decors. Our collection also has carrara herringbone for wall designs and decor completion. Tiles to suit your Spaces! 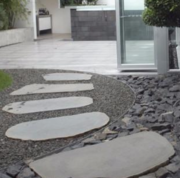 Sydney Tile Gallery has a wide collection of tiles to suit your house, backyards, front yards, commercial buildings and all types of landscaping. We also have an expertise in providing with cladding for stone wall. We also provide for tiles such as : Timber Tiles Stone Wall Cladding Limestone Marble Granite. BaliHuts are your gazebo specialists located in Sydney. We transform your backyard into a place or relaxation and tranquility.From initial consultation to complete construction and installation, BaliHuts are the go to experts for your backyard transformation.BaliHuts are your gazebo specialists located in Sydney. Naturally Trees are dedicated experts specialising in arboriculture, landscape design and ecological assessment. we deliver sustainable environmental outcomes. northern Sydney North Narrabeen NSW 2101 info@naturallytrees.com.au https://www.naturallytrees.com.au/. Home, garden Sydney ads Sydney, Home, garden classifieds Sydney, Home, garden free ads Sydney, ads for sale Sydney, ads to buy Sydney, FREEADSAustralia Page number 6-1. Find here ads for sale, to buy and rent in Sydney. Goods for sale in Sydney, vehicles for sale in Sydney, Sydney real estate for sale, Sydney property for sale, property for rent in Sydney, business ads in Sydney, Sydney business classifieds, services in Sydney, Sydney services ads, jobs in Sydney, pets for sale in Sydney, Sydney dating, Sydney cars for sale.